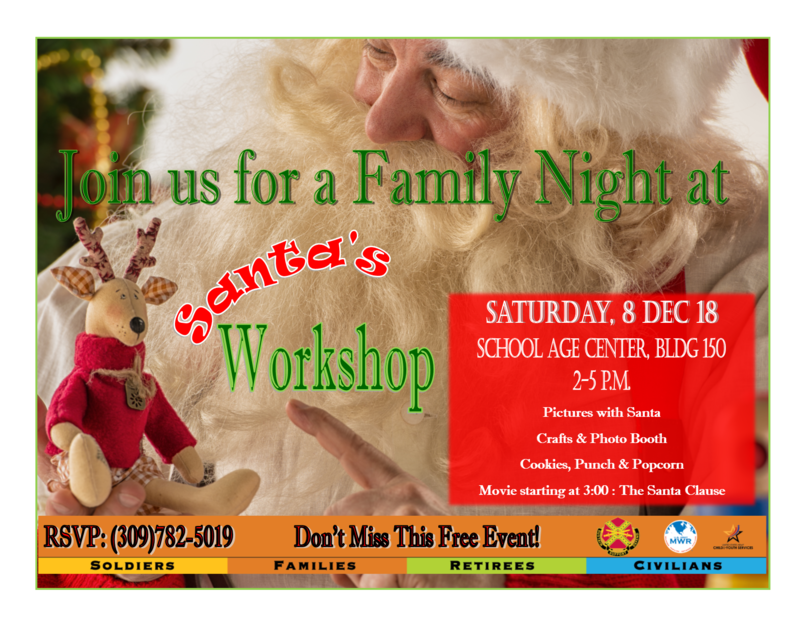 Date: Dec 8 2018, 2 p.m. - 5 p.m.
Get the whole family and join us at the School Age Center (bldg. 150) for a fun afternoon of holiday merrymaking! We will have pictures with Santa, crafts and activities, a photo booth, cookies punch and popcorn and a screening of the hit holiday movie "The Santa Clause" starting at 3 pm. Please RSVP by calling +1 (309) 782-5019.